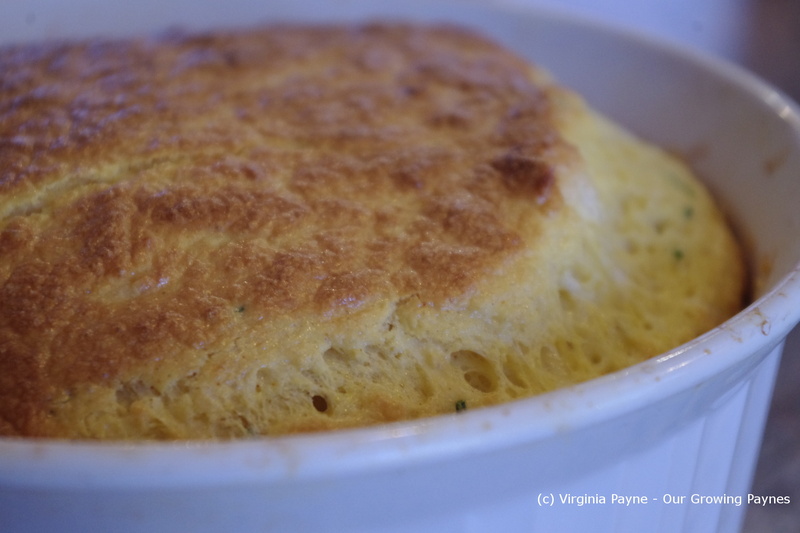 Cheese souffle is one of those dishes that is considered difficult enough to use as tests on cooking competitions. Contestants dread them. So I thought it was high time to try one. 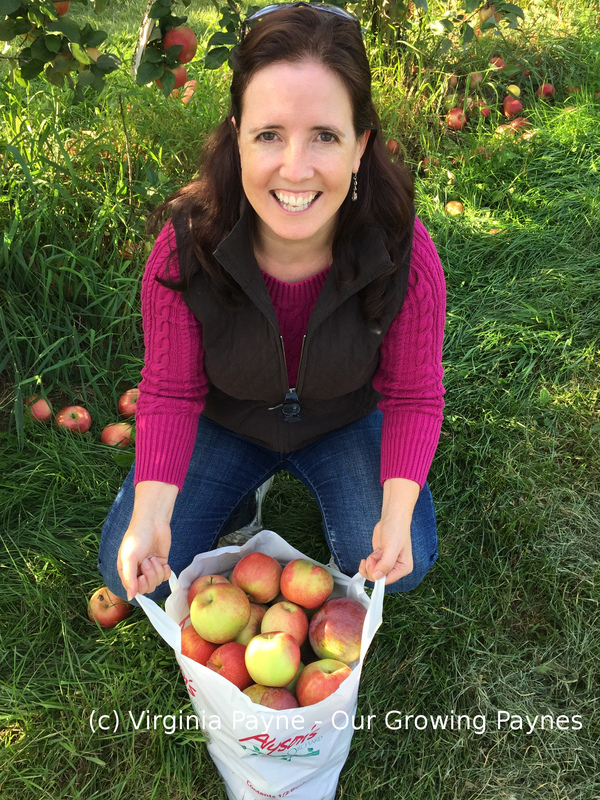 And I stressed through it enough that my husband thought I was being a bit nutty. 🙂 The result is that it is time consuming but not overly difficult. It called for 1 1/2 quart dish, which I used, but I think in the end it was too big so next time I’ll try something a bit smaller. 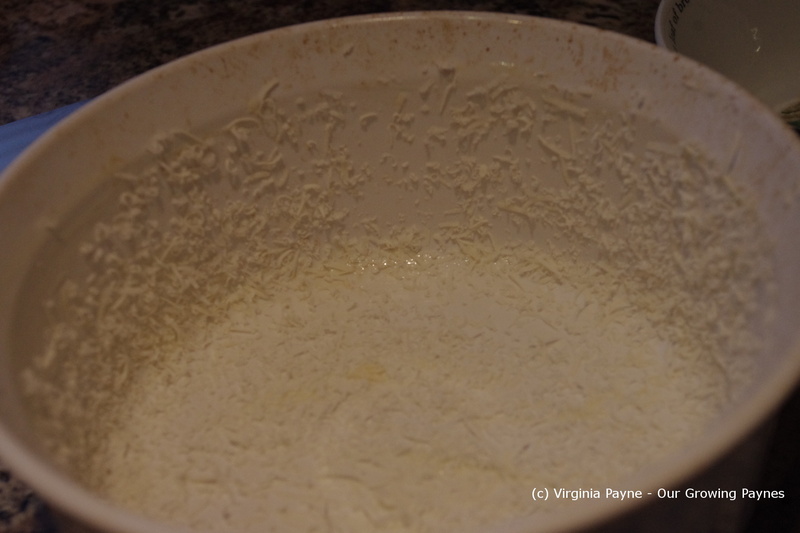 Butter the dish and then coat with finely grated parmesan cheese. A tip from Alton Brown is to freeze this for about 5 minutes to set it. 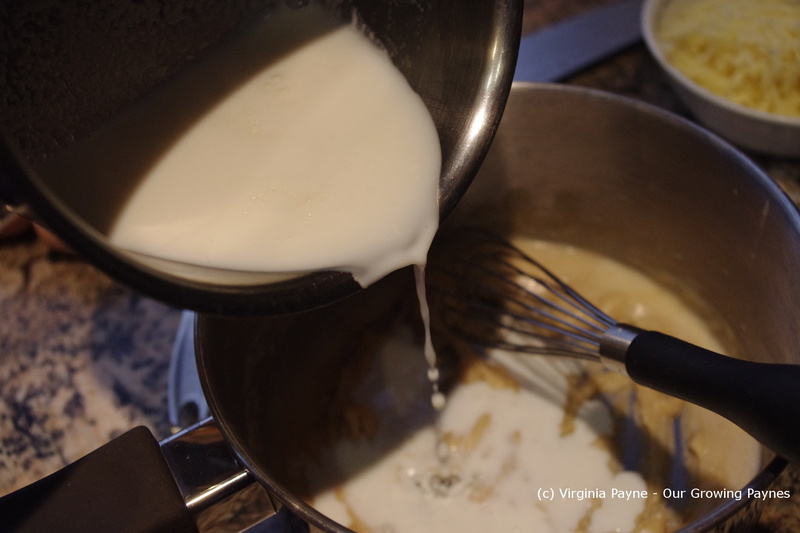 To start warm a cup of milk in a small sauce pan. Warm it to steaming but not boiling. Their recipe called for whole milk but we used 2% and it was fine. Also all we had. 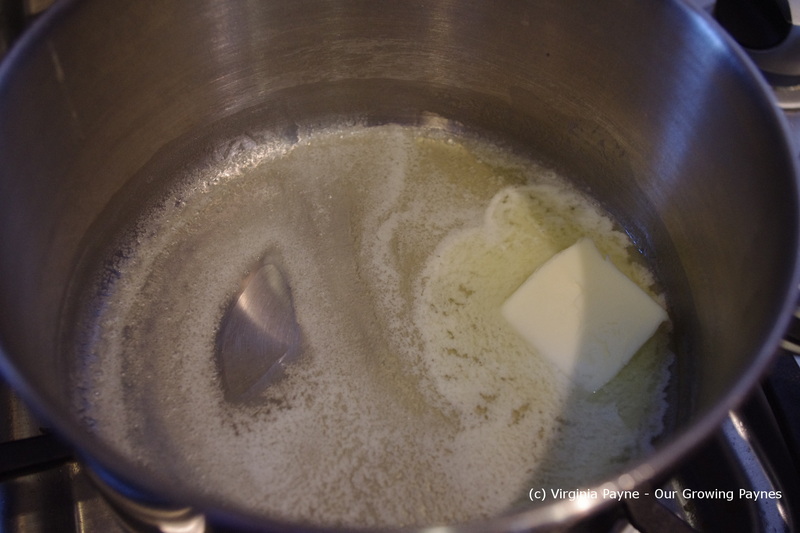 In a larger sauce pan melt 2 1/2 T butter. 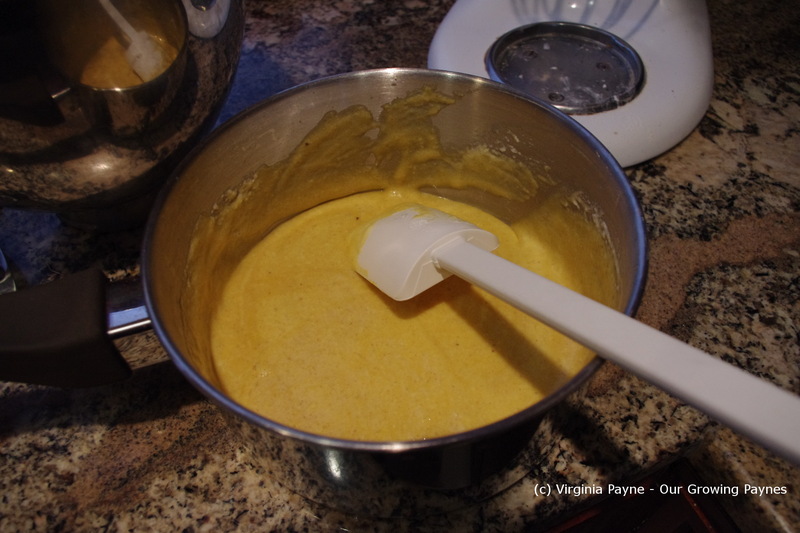 Once the butter is melted add 3T of flour and whisk it all together. 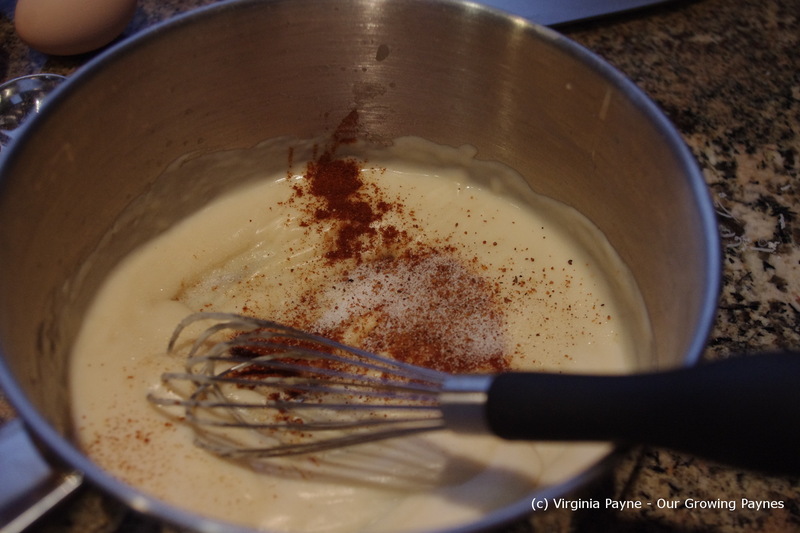 Cook this roux until it isn’t raw anymore. Don’t brown it. Mine turned beige but it was ok. 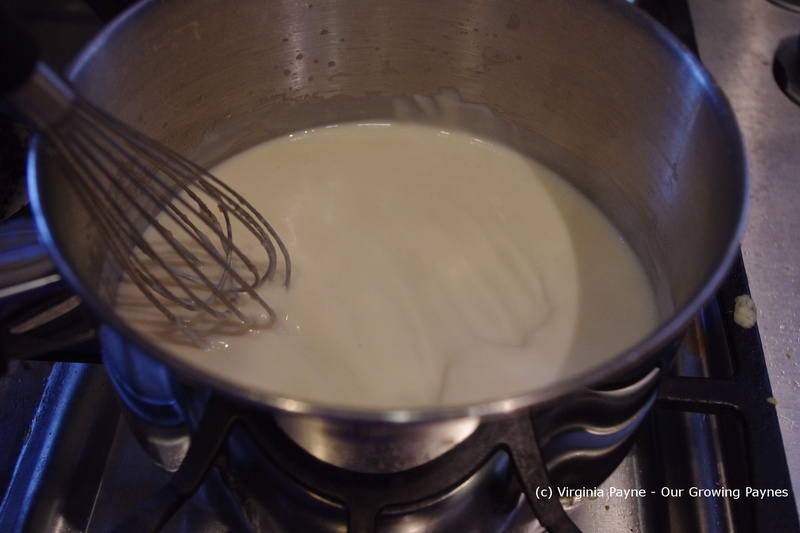 Remove from the heat for about a minute then whisk in the warmed milk. 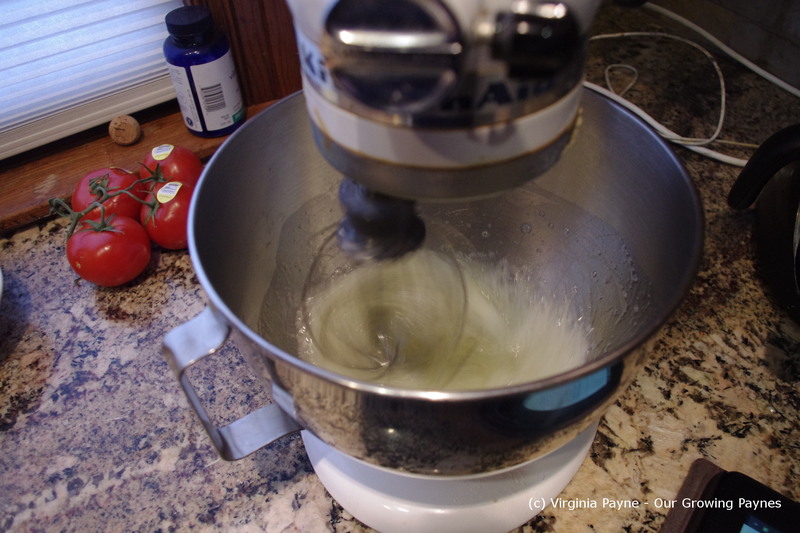 Whisk until it is blended. 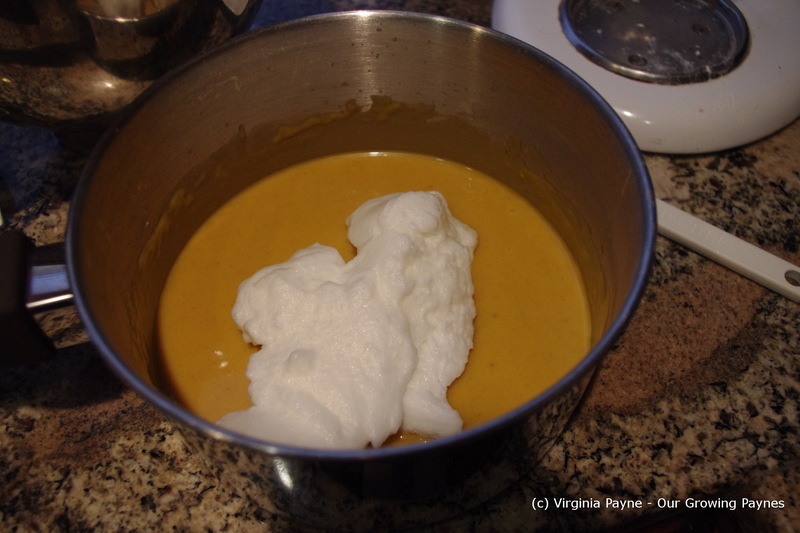 Put it back on the stove and reheat on low to medium while whisking the mixture. You want to keep stirring until it thickens. This will take a few minutes. And when it thickens it happens quickly. Remove from the heat once again. Add 1/2 tsp of paprika and 1/2 tsp of salt. Just a sprinkle of nutmeg then blend it all together. 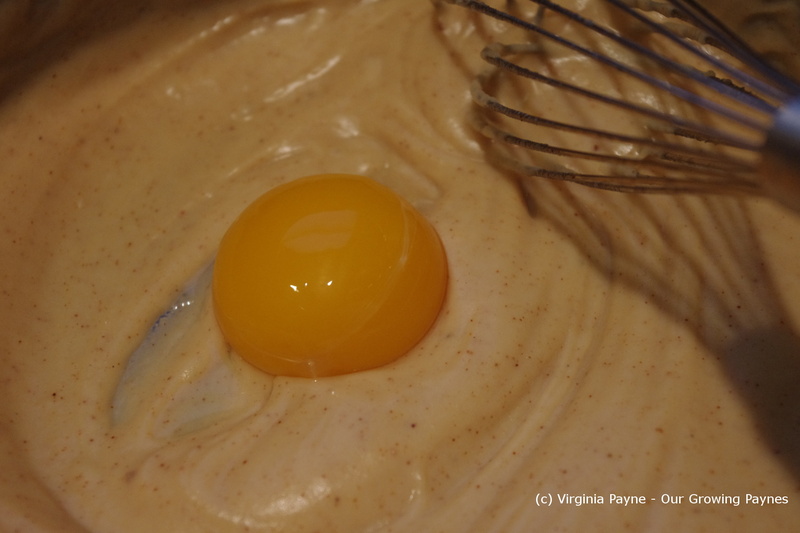 Add one egg yolk at a time and blend well each time. Again this calls for 4 egg yolks. Set this aside to come to room temperature. 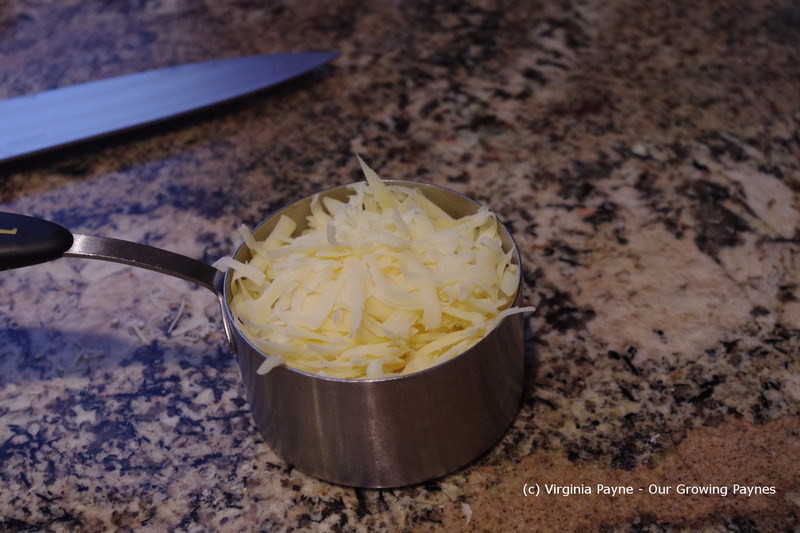 Then coarsely grate a cup of Jarlsberg. Like brown sugar this should be a tightly packed cup. 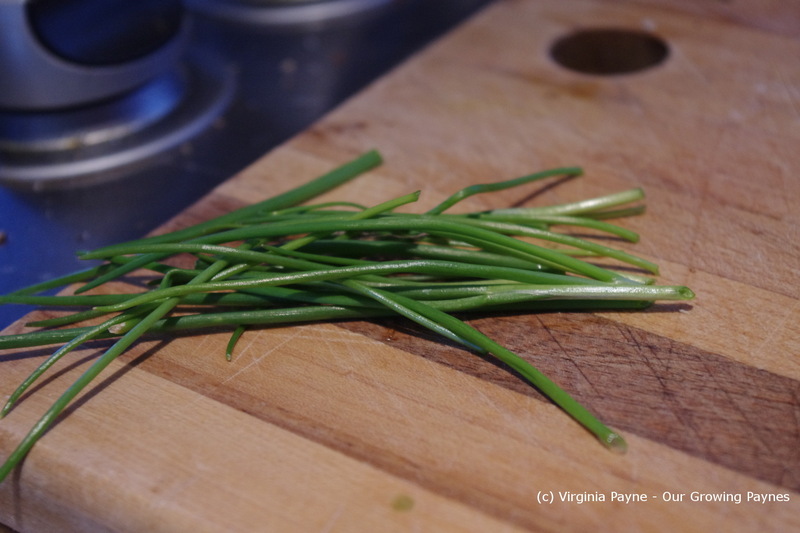 And chop the chives. When you are ready to do the second part of the souffle pre-heat the oven to 400F/204C. I did it on convection but I don’t recommend it as it browned the top well but the very centre of the souffle was a bit undercooked. So next time I will do it regular to the browning and the centre will finish together. 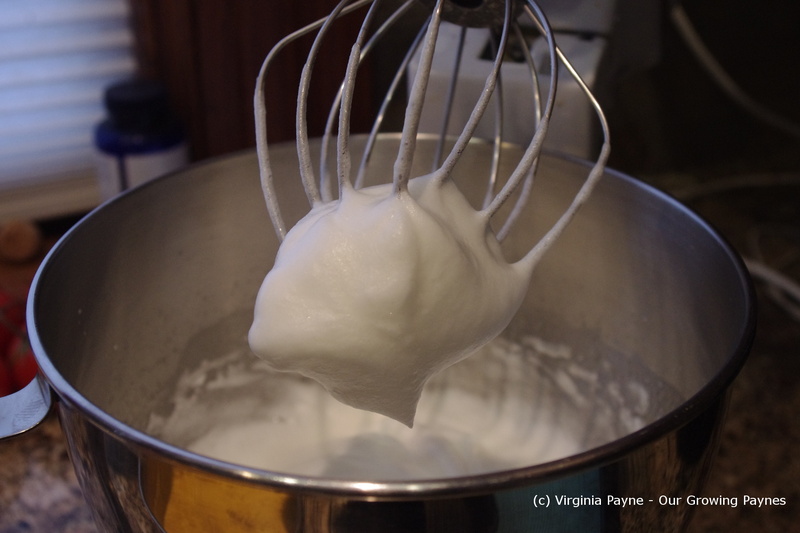 Take 5 egg whites and use a mixer to whip them until “stiff but not dry” according to the recipe I was following. 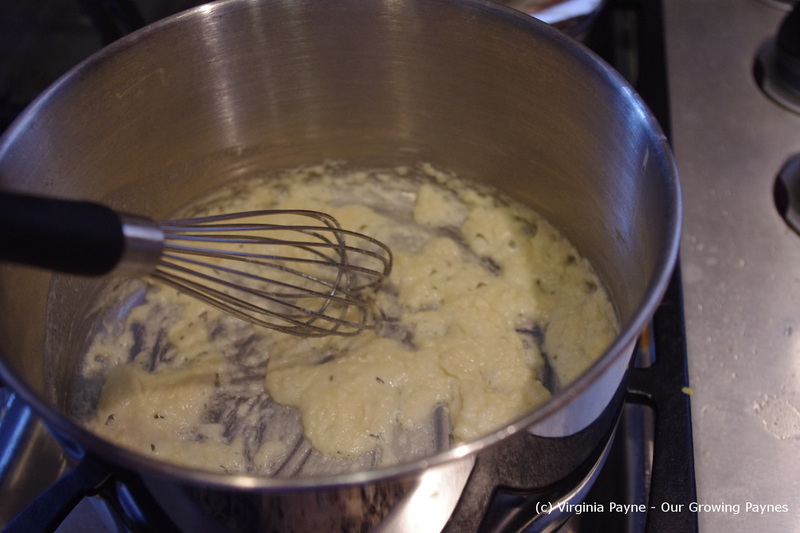 Take a 1/4 of the egg whites and gently fold into the souffle mixture that has cooled. For these final steps you don’t want a heavy hand. 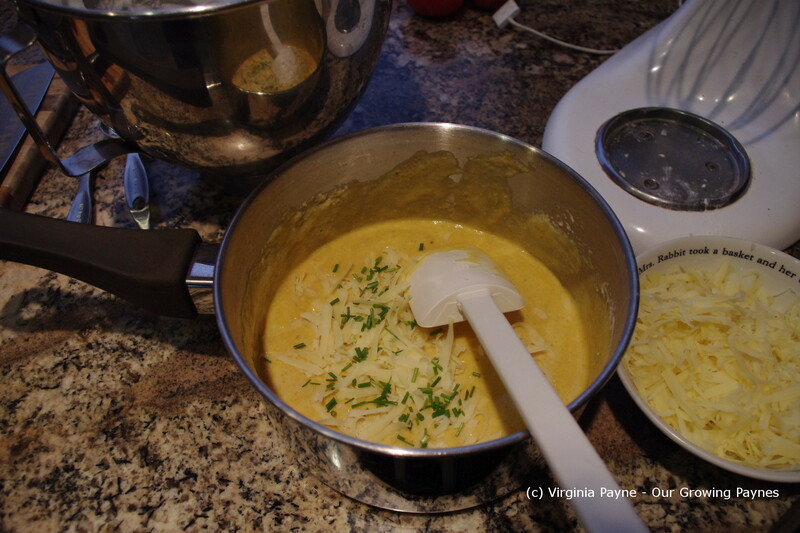 Gradually add the cheese, chives, and the egg whites gently folding as you go. You want a light airy mixture. Pour it into the dish and place it into the oven. Turn the temp down to 375F/190C. Set the timer for 25 minutes. As the recipe states “Do not open the door for at least 20 minutes!” That is really hard for me not to do! 🙂 When it is golden brown remove from the oven. Again I would use a smaller dish for this. Also as I did it in convection I removed it a few minutes before the 25 minutes was up so the centre was just undercooked a bit. This recipe served 4 of us and we served with salad. It was a delicious light meal. 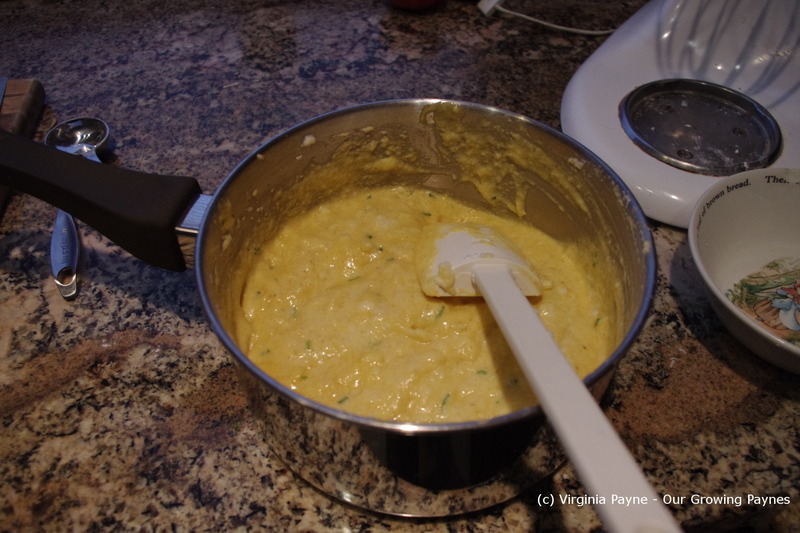 This entry was posted in French Recipes and tagged baking, cheese, cheese souffle, chives, cooking, dinner, egg yolk, egg yolks, food, garlic chives, jarlsberg, vegetarian. Bookmark the permalink. Thanks. 🙂 It is something I would like to try again. I have never tried to make a souffle. You make it seem pretty easy though, I will have to give a shot sometime! 🙂 not as difficult as they make it out to be. Lovely looking soufflé. You can feed the extra yoke to the dogs when they are back from their walk. Very good for their coats. Really impressed! 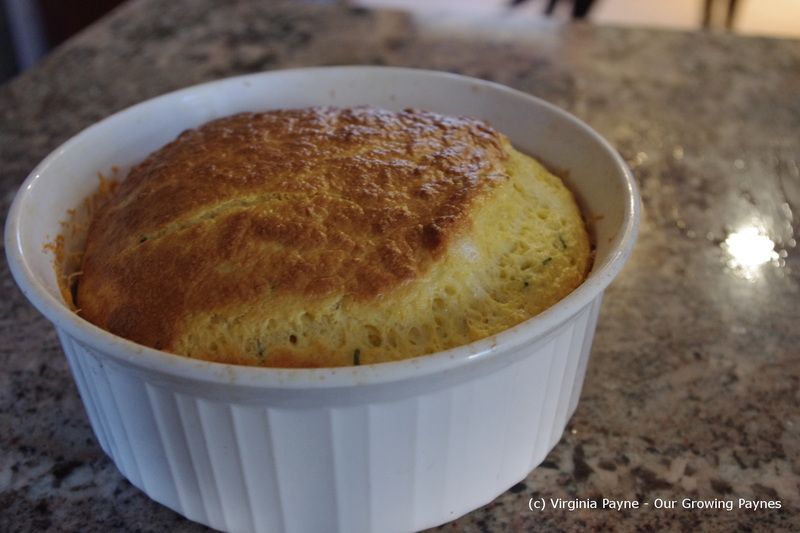 I’ve never tried making a soufflé before, even though I’m so used to making sauces with a roux. Shall have to try it! Go for it! 🙂 I would think this would right up your alley. You know, I’ve never made a soufflé ! Now I must. Thanks! Look at you, making a soufflé! It looks wonderful and that is so very important with a soufflé. Good for you and good luck when you switch to desserts. Thanks. 🙂 It was on my cooking bucket list. That’s funny. :). I think my home ec taught us pizza. Nothing like souffle! Souffle is something i dare not try. it is too challenging…your looks fabulous! Oh give it a go! 🙂 You might surprise yourself.